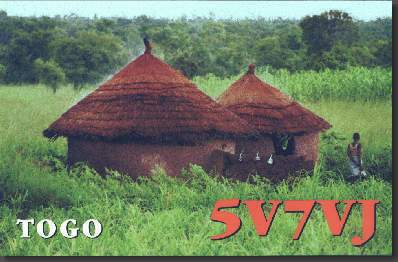 Our year 2000 DXpedition took place as 5V7VJ from Togo (Oct 4 - Oct 9, 2000) with 17213 QSOs and as XT2OW from Burkina Faso (Oct 10 - Oct 15, 2000) with 24320 QSOs. 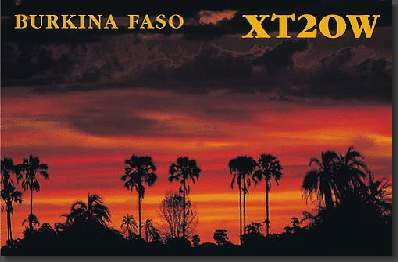 The operators were DL7BO, Tom, DL7UFR, Frank, DL4WK, Wolf, DJ7UC, Dirk and DL7DF, Sigi. The equipment consisted of 4 transceivers, 2 linear amplifiers. The antennas were 2 beams, a vertical for 40 and 30m, a 21m high vertical for 160 and 80m and a 5 ele Beam for 6m.